There was a time, during my early teenage years, when I used to daydream about television shows and radio plays based on the fantastical lands, creatures and heroes that populated the role-playing games that filled too many of my waking hours. The closest, as far as I can, remember, that anyone ever came to creating one was the Radio Production of ‘The Hobbit’, and grateful for small mercies, I instantly seized on it, and via the magic of cassettes, listened to it over and over again. 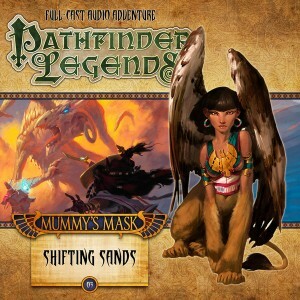 Fast forward three decades, and my wish has been fulfilled, as Pathfinder made the transition from much beloved RPG to audio drama. Now in its second series, it never fails to impress, and continues to amaze, me with every action filled chapter of its slowly unfurling and deliciously involving story. Having left Wati in order to try and find the Forgotten Pharaoh before his power can be unleashed upon an unsuspecting world, Harsk, Valeros, Merisiel and Ezren arrive at the Library of Tephu in order to learn as much as they can about their mysterious, would be foe. However, their eagerness once again proves to be their undoing, and before they can curse the gods for their bad luck, our courageous adventurers find themselves fighting for their lives against the insidious cult of the lost ruler. As their quest progresses they find themselves entangled in assassination, betrayal, rescue missions and a desperate race against the mad cult to discover as much as they can about, and the whereabouts of, the Forgotten Pharaoh before all hope is lost. Oh, and did I mention the monsters? 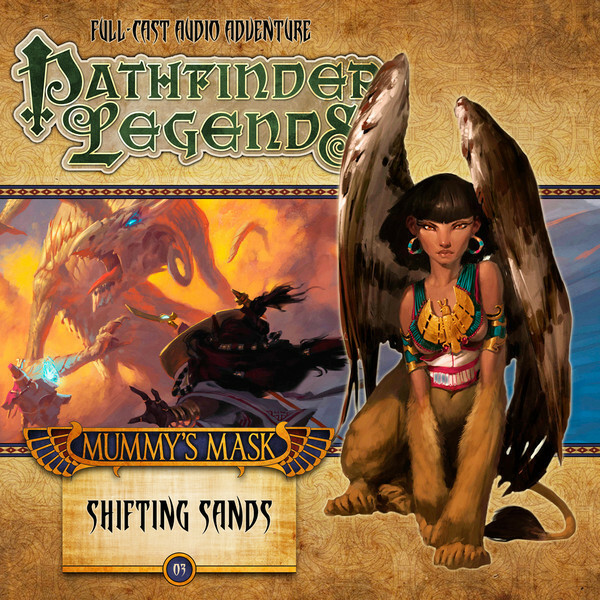 The golems, sphinxes, serpent-demons and strange bee people they encounter on their journey? How about the heart stopping, weapons flying, anything goes chariot race that Harsk and Valeros are forced to compete in? I didn’t? Well, I have now.